In CarMax's home delivery pilot, customers have been able to buy a vehicle without entering a store. Used-car retailing giant CarMax Inc. is expanding its online offerings for consumers who want to limit — or even eliminate — time spent at a dealership buying a vehicle. The Richmond, Va., company for the past few years has piloted initiatives such as online vehicle appraisals, preapproved financing, home delivery and expedited pickup at the dealership. Now CarMax will combine those into an online experience that it says will provide the same level of service customers receive in its stores. 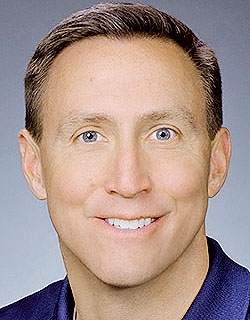 "Because customers are now able to do more digitally before they come to the store, we're also empowering our associates with new tools and training to leverage the customers' digital progress — making it simpler, easier and faster for them to complete their purchase," CarMax CEO Bill Nash told analysts on a June 22 earnings call. Over the next several months, CarMax will implement the program in new markets and hone operations to scale the approach more widely across its network, Nash said. With 90 percent of customers starting their shopping online, CarMax has improved its website and mobile shopping app to include features such as 360-degree views of vehicle interiors. Also new is the ability to put a vehicle on hold or to have one transferred to another location. The company will be able "to deliver as much or as little of the car-buying experience online as our customers want," spokeswoman Claire Hunter wrote in an email. CarMax is among a growing group of retailers bolstering e-commerce options as automakers forecast that online sales will represent a big chunk of future business. By 2025, for example, Porsche expects 30 percent of its vehicle sales will be online, and Mercedes-Benz estimates online sales will account for 25 percent of its volume. Across the industry by 2025, online sales could represent up to 40 percent of vehicle sales, said Mark O'Neil, COO of Cox Automotive. "We would be incredibly surprised if less than a quarter of the market was being executed in a digital way" by then, O'Neil said. Several large dealership groups are offering e-commerce options, in some cases even the ability for a consumer to buy a vehicle online save for the signatures. Retail rivals AutoNation Inc., Sonic Automotive Inc., Asbury Automotive Group Inc. and Penske Automotive Group Inc. are among those pushing forward on online sales. 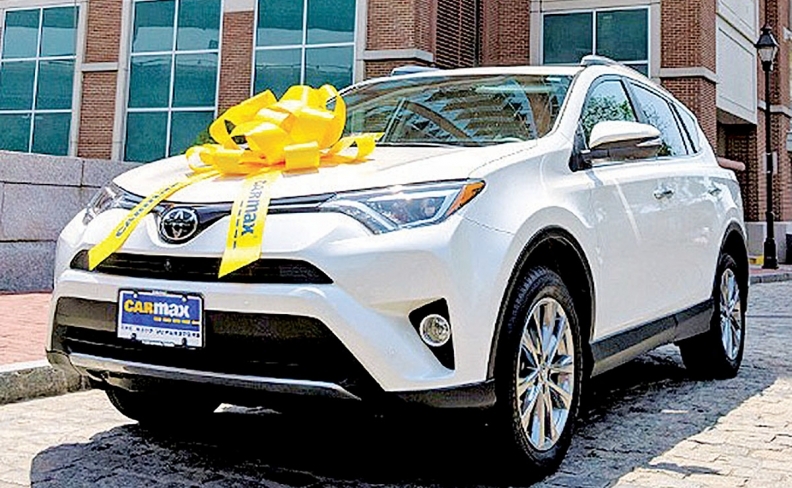 In April, CarMax said it has been testing an expedited pickup option at stores in Charlotte, N.C., and Lynchburg, Va. The service lets customers finish most of the stepsfrom home, while wrapping up the purchase in the dealership in less than a half hour, Hunter said. A home delivery pilot has been running in Charlotte since fall 2016, allowing customers to buy a vehicle without entering a store. Customers can choose a vehicle and have it delivered to their home for a free test drive.They also can finance their chosen vehicle, trade in their current vehicle and complete the transaction without going to a dealership. In 10 stores, CarMax is testing online appraisals. People can provide information about their vehicle online and receive a written offer good for seven days. CarMax declined to provide sales results from its online pilots. Analysts think the expanded digital play will help CarMax vs. its competitors. Online used-car seller Carvana Co., for example, has been growing rapidly across the U.S. and is expanding use of its eye-catching automated vehicle vending machines. "We continue to believe that [CarMax] has an advantage over traditional dealers given its national brand name and over digital startups given its sourcing infrastructure," Goldman Sachs analyst Matthew Fassler wrote in a note after the CarMax earnings call. "Marketing this edge could help it to achieve more sustained share gains." Scot Ciccarelli, an analyst with RBC Capital Markets, also noted after the call that CarMax's tech and e-commerce enhancements should aid business over the next few quarters. "Improvements to [search engine optimization] have been driving increased leads for several quarters now, while online financing pre-approval, online appraisals ... and home delivery are greatly improving the customer experience, which should further benefit leads and conversion rates," Ciccarelli wrote in the note. "Other recent e-commerce enhancements include improved personalized vehicle recommendations and the capability for customers to search based on their desired monthly payment." CarMax, with 192 stores in 41 states, tops Automotive News' list of the top 100 dealership groups based in the U.S., ranked by used-vehicle retail sales, with 671,294 sales in 2017.